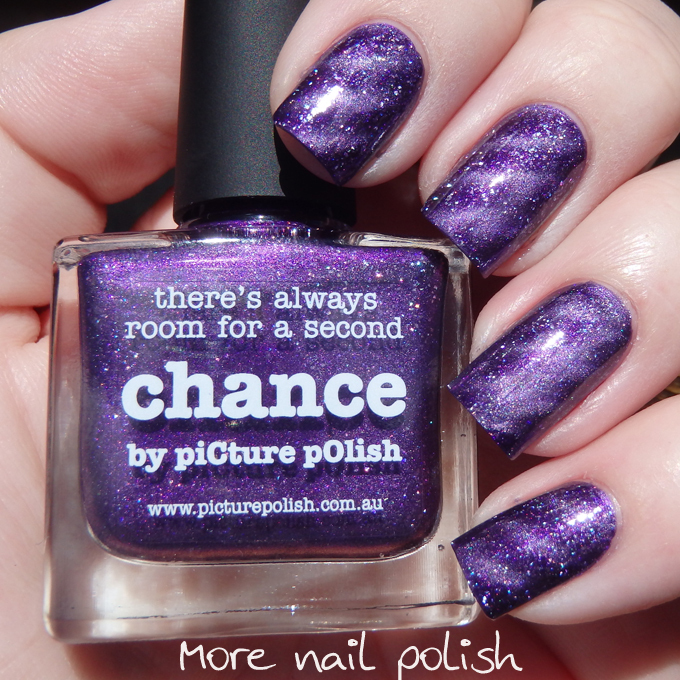 About a month ago, Picture Polish released four new shades in their Opulence range that had a bit of a story to go with them. 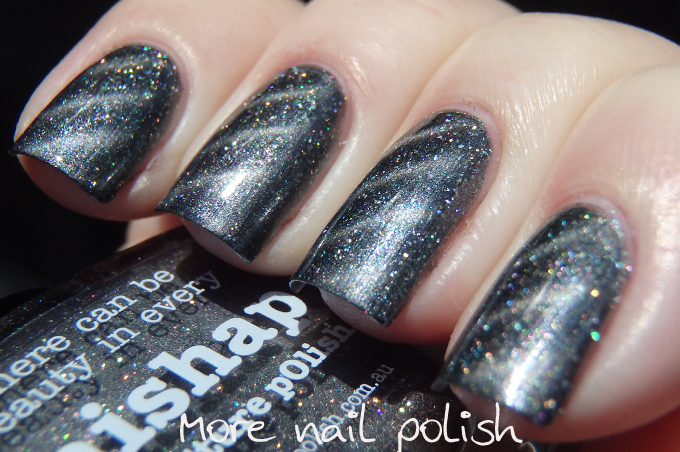 You see they wanted to create a collection of magnetic holographic polishes, but unfortunately they had a bit of trouble with the magnetic shift, and after they were already bottled they discovered the metallic shift was too understated. 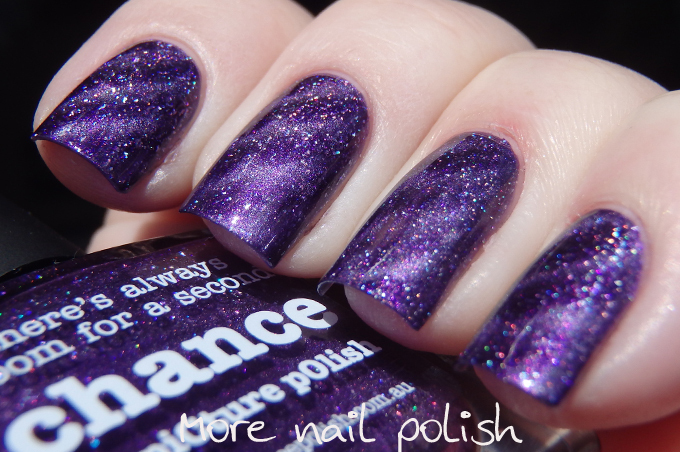 This little mishap didn't stop them though, instead they took the chance to release them as metallic holos with a subtle magnetic shift. Thus the collection of Story, Mishap, Change and Trouble were launched. Generally the swatches show the polishes with the use of magnets but of course I wanted to try out just how subtle the magnetic shift was. I used a diagonal striped magnet that I got with some of the Layla Magnet polishes and I was definitely able to get quite a noticeable magnetic shift, but some were more amazing than others. 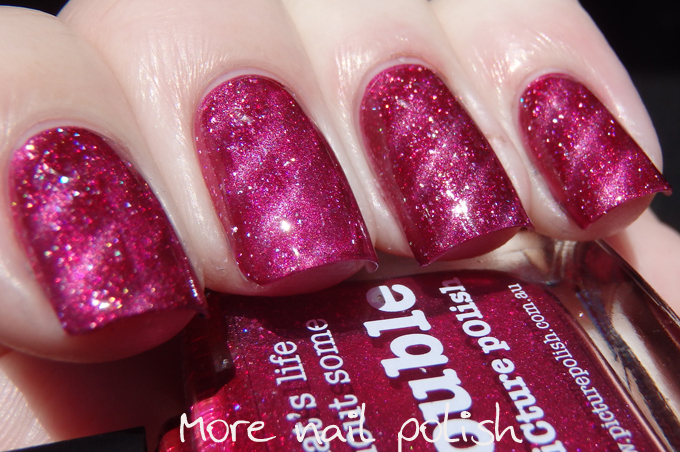 Without using the magnet, you polishes have a softer metallic sheen, but when using a magnet, all those paler shimmery bits pull together leaving the other areas to be darker jelly sections. It was really cool to play with. First up is chance. If I was to rate the magnetic shift of this polish on a scale of 1 to 10, with 1 being no shift and 10 being the most magnetic polish in the world, then I would put this one about a 5. 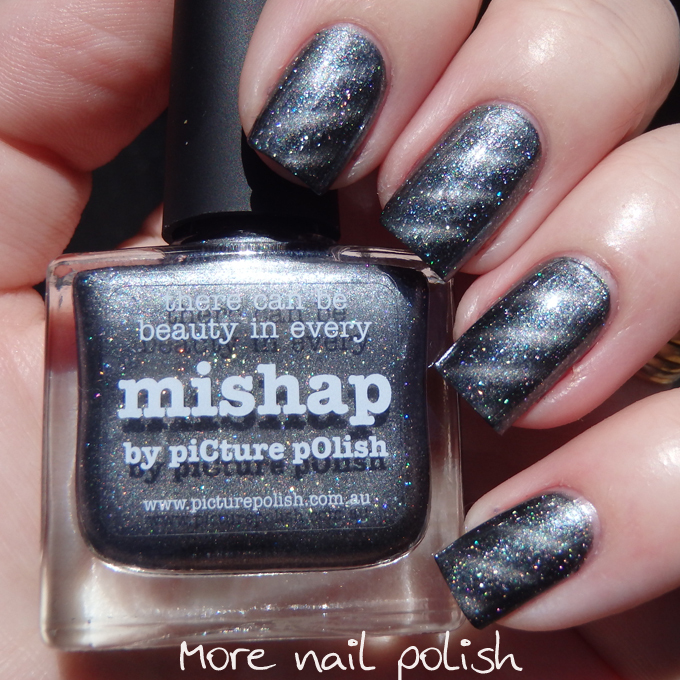 Here is Mishap, which is a blue toned metal grey shade. I'd rate the magnetic shift about 5 on this one two. 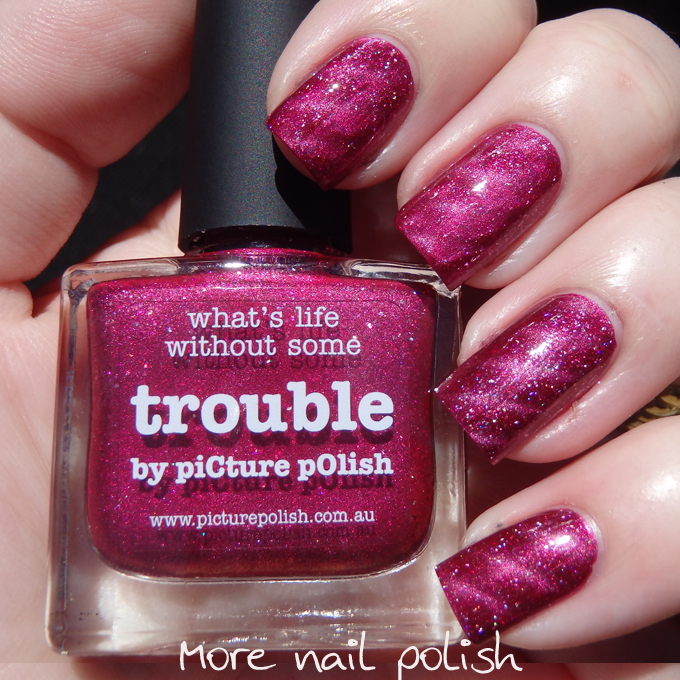 Here comes trouble, which is a raspberry red metallic holo. I found this one had the most subtle magnetic effect and would rate it about 3/10. Finally is story, which is a dark teal blue. 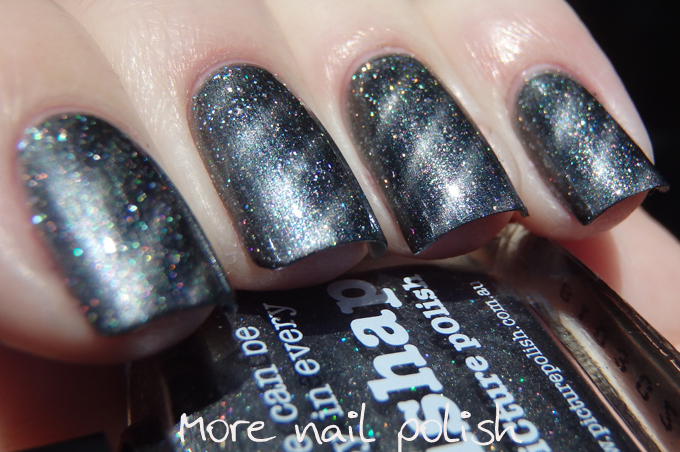 Actually this one appears darker on my nails that in most swatches because it has the strongest magnet effect, where the metallic particles lined up nicely leaving dark blue jelly areas glowing with holo particles. I'd rate this one about a 7/10 for it's magnetic effect. I'm not sure if it's because this polish is blue, and I love blue polish, or whether because it has the best magnetic shift, but I love this one the most. What do you think? 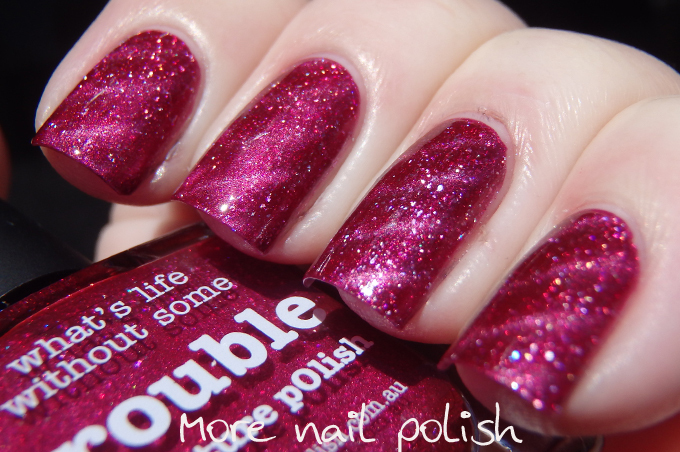 Do you have these polishes yet and have you tried them out with a magnet? 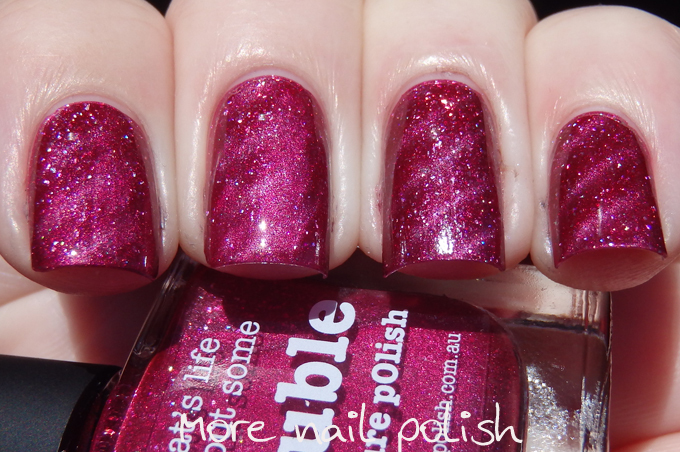 I'd forgotten how fun it is to play with magnet polishes. 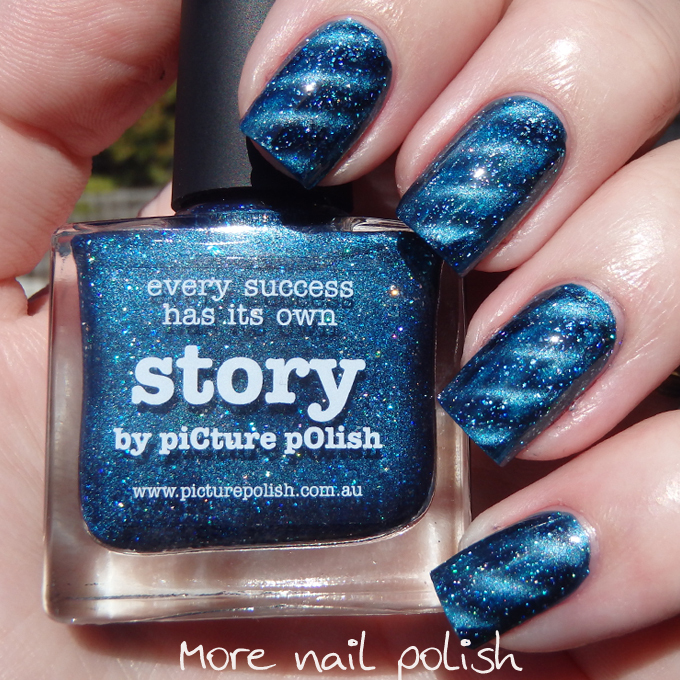 I was wondering how weak the magnetic effect of these polishes are, but they actually look quite impressive especially story. 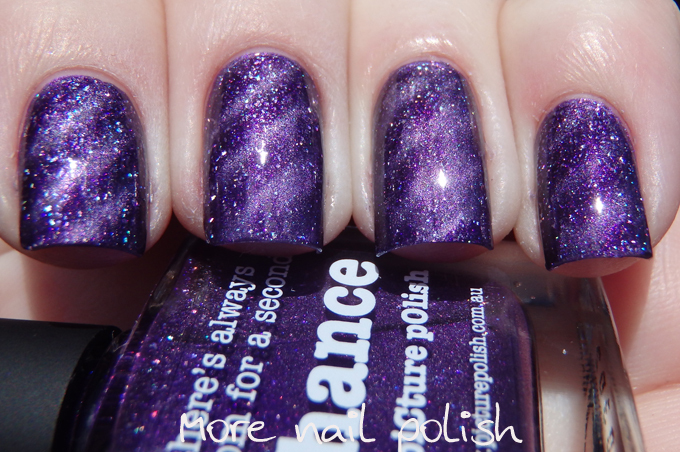 And I NEED that diagonal shaped magnet, the effect looks stunning! 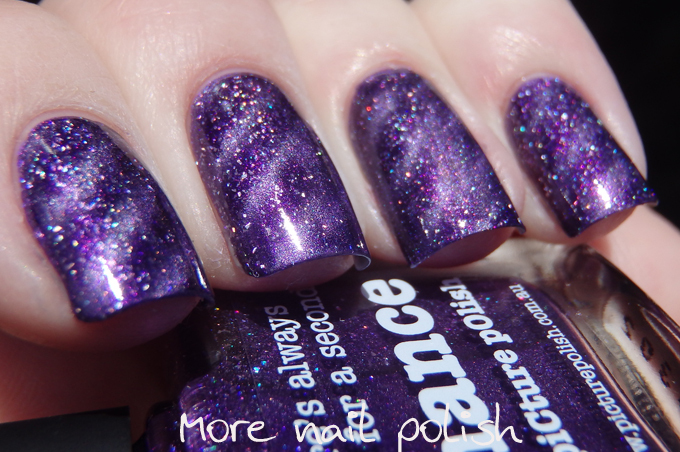 WOOOOOW :O this nail polishes are great!